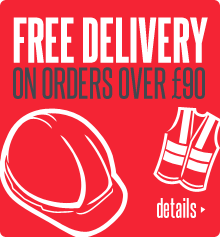 Standard delivery is FREE on all orders over £90.00 and only £5.95 for any orders under. Orders average 3-5 working days delievry. If you have a query regarding your order please email sales@workwearshoponline.co.uk and we will get back to you by the end of the working day. You may return any item for a refund or exchange bought from our website within 14 days of delivery. Once received, a refund less the original delivery costs will be given providing the item is in it’s original packaging and is suitable for resale. We will pay the return carriage costs for refunds where the return is our error or the item is deemed to be faulty. For any other return or exchange the cost of carriage must be met by the customer.